It’s finally Spring, and although it might not feel like it, we are getting there. This season we transition from heavy textured creams and gels, to lighter serums and dewy highlighters along with colorful makeup. Here are some of the new Spring makeup and skincare launches that have already won us over. Dior’s new Spring 2019 collection for skincare is a must-have. The Capture Youth New Skin Effect Enzyme Solution Age-Delay Resurfacing Water, $65, is a lotion that clarifies and hydrates the skin. You are treated to softer, luminous skin and works to delay signs of aging. Dior’s new Spring makeup line is also quite a treat and complements the skincare line. The Dior Lip Glow to the Max, $34, takes the cult classic Lip Glow to new heights. The new formula is super hydrating, leaving the lips plumped and smooth. The Body Shop’s Shea Butter Collection is their first ever Community Trade ingredient, farmed by women in villages across Northern Ghana. The Shea Butter Richly Replenishing Shampoo, Conditioner and Mask truly give a kick to your hair care routine. It’s not too heavy, but provides enough sheen and strength to transition into the new climate. NYX Cosmetics’ new Off Tropic line is fun, vibrant and a perfect pick-me-up line to take you from spring into summer. The super colorful lineup includes the Off Tropic Pro Liner and Shadow Palette. 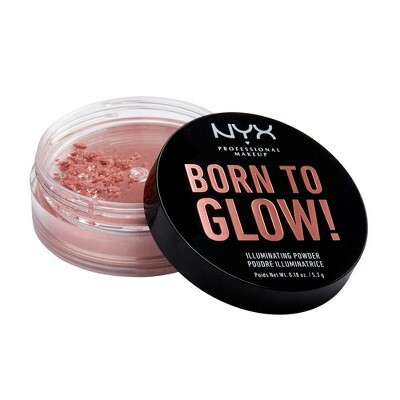 My favorite is the Born To Glow Illuminating powder, $15, a loose powder that offers a light shimmer and glow to the face. I prefer to dust it over the cheekbones for a subtle dewy look. THe four shades go well on any skin tone. I’m a fan of the Eternal Glow, a rose champagne kiss of death, if you will. After the long, unholy winter we just had, stepping into spring means needing a good dose of boosters for our skin. The new limited-edition Super Radiant Booster from Nars, $37, is a lightweight, layerable texture that amplifies the skin’s illumination with a pearlescent glow. You can add it to your foundation for a spring shimmer or on its own for a fresh-face glow. The new Marc Jacobs Accomplice Concealer & Touch-Up Stick, $38, is a perfect on-the-go option for quick touch ups. Available in 17 shades, the creamy textures work well into your Spring beauty routine. It hides dark spots, blemishes and blurs any imperfections. Just dab, blend and go. It’s not too heavy, but sits well on the face and conceals dark circles like a pro. The Olay Brightening Eye Cream, $33.99, is filled with Vitamin C, B3 and an antioxidant complex to reduce dark circles under the eyes and aims to reduce fine lines over time. Smoothing fine lines will make you appear well-rested and ready to take over the world, even if you don’t feel like it. Benefit Cosmetics’ Cheekleaders Squad Cheek Palettes, $80, in Bronze and Pink are way too cheeky. The limited-edition, full-size cheek palette features two new highlighter shades. While the Pink palette aims for the blush and highlight flushed look, the Bronze palette goes for the contour and bronze glam look. Glamglow’s Supertoner Exfoliating Acid Solution Toner, $54, is a pore clarifying toner with clay, charcoal, and six acids that exfoliates and clears the skin for a fresh glow. Fans of the Supermud treatment will really love the brand’s first ever toner as it further clears the skin and gives a radiant look. Another new product from the brand is the Superserum 6-Acid Refining Treatment Serum, $82. It includes GLAMGLOW’s six acid blend and charcoal to target fine lines and even kicks away any dullness, exfoliating dry surface cells. I’ve always been a fan of the brand’s masks, and now the new toner and serum have also won me over.